If you're a thrill seeker who will be in Nashville around Halloween and are looking for some frightening fun, plan a visit to one of the city's spookiest haunted houses. Adventurers can try their hand as ghost hunters at authentic haunts or get frightened out of their skin at one of the many seasonal Halloween attractions. Some accept cash only, or you can buy tickets online. Dress appropriately for attractions located outdoors, because you'll be walking on dark trails in the woods. 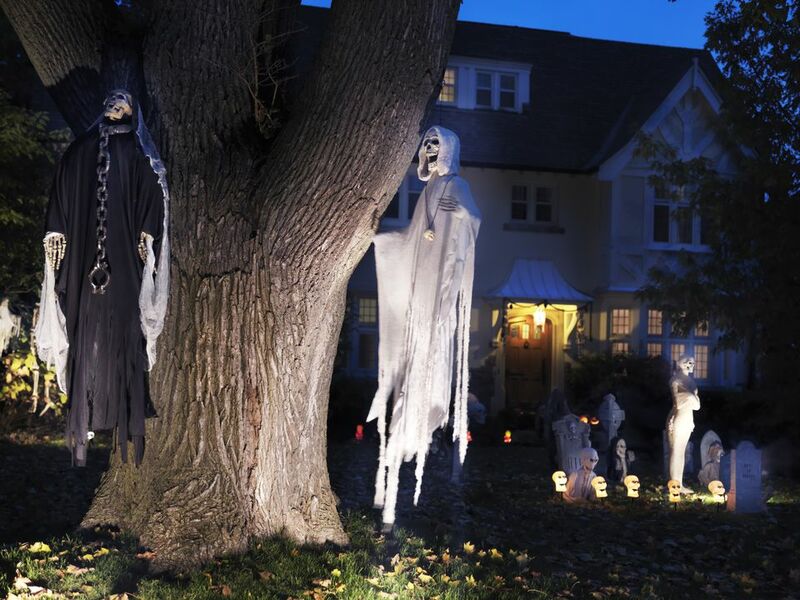 For the most thrills and chills, check out these creepy haunted houses in Nashville. And don't forget to pack a Halloween costume. The Bell Witch, one of the most vicious spirits ever documented in paranormal science, tormented the Bell Family Farm in Adams, Tennessee, during the 1800s. It is now said that the spirit haunts the nearby cave. On the National Register of Historic Places since 2008, Bell Witch Cave and a replica of the Bell Family's cabin can be toured from May through October. Special events during October include candlelight tours and haunted hayrides. Located in Gallatin, Bloody Acres is sure to scare even the toughest with its blood-drenched woods and vengeful spirits. Prepare to be frightened by ghouls as you walk the trails in the secluded woods. Dress appropriately. Take a journey into the depths of hell at Devil's Dungeon. This controversial haunted attraction in downtown Nashville is theatrical mayhem filled with spirits, demons, and the Devil himself. You'll be scared out of your wits by more than 30 horrifying scenes in this 20,000-square foot haunted house. This trip to the dungeon will haunt you long after you leave. Expect the unexpected. Prepare for adrenaline rushes and levels of fear you won't soon forget. Creepy Hollow Haunted Woods in Spring Hill features a haunted house, haunted woods, zombie maze, wagon rides, bonfires, music, and concessions. It will definitely be an evening of fun and fright for adults and teens. Established in 1986, Slaughterhouse is the oldest haunted house in the Nashville area. It's located at the Full Moon Cineplex, a dinner and classic movie theater in Hermitage. This is the place to be for those who don't scare easily. Dead Land is home to three terrifying attractions in Lebanon. Be prepared to scream as you walk the scary trails in the dark woods. This family-friendly attraction also includes a bonfire, concessions, and gift shop. Nashville Nightmare is consistently ranked as one of the country's top haunted houses and for good reason. This 50,000-square foot space contains multiple haunted houses with state-of-the-art animation and special effects. Navigate your way through all the dark passages and try to escape the clutches of wandering monsters and more evil beings. Haunted Hell offers a terrifying theatrical adventure featuring a cast of more than 30 demons determined to scare you to death. Your travels through this 22,000-square foot space take you to an old plantation home, through a creek bed, and into a dark urban underground. Haunted Hell is located in Antioch.